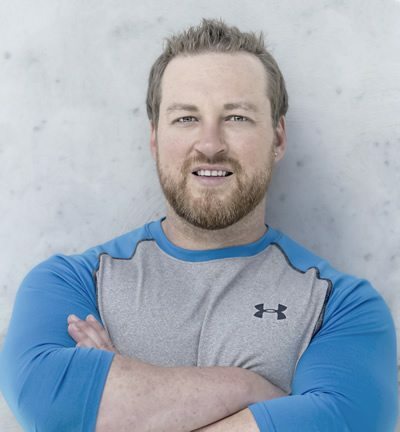 Matt Weik is the owner of Weik Fitness and a well-respected fitness expert/author with a global following. His work has been featured in 85+ fitness magazines and 1,500+ websites. He’s also a certified strength and conditioning specialist, personal trainer, and sports nutritionist. You can contact Matt via www.weikfitness.com or on social media @weikfitness. And be sure to check out his weekly features here at DigitalMuscle.com. Cancer Drugs to Fight Obesity? A Caffeine Study Gone Wrong! Gym Style – What’s Yours? Goat Yoga is Real – We “Kid” You Not! Is it Healthier to be Single? Do We Need an App to Make Healthy Choices? Fit Tips: Walk Before You Run! A Workout to Manage Diabetes? Kids: Cyber-Cycling for Behavioral Issues? Is There a Pathogen Killer Right Under Your Nose? Pomegranate Juice: Something You KNEEd? Coffee Talk: A Fresh Cup of New Research! Sports Drinks: A Sugar Trap for Kids? Can Cardio Improve Your Memory? Tart Cherry Powder: An Ergogenic Aid? Technology Update: The “Shop Well” App is a Must! Stop Playing Games With Your Kids! Can Exercise Benefit Concussion Recovery? Multi-Vitamins: They Could Save Your Life! Research: Can Fiber Fuel Weight Loss? Dark Chocolate: An Ergogenic Aid? Egg Whites: Don’t Forget the Basics! Your Child’s Nutrition. Be Accountable!! !